My son Joshua likes to do puzzles. He was sitting the other day trying desperately to get a puzzle put together and not having any success. I heard him fussing about it and I came in the room to see what his issue was. I told him to ask for help and that I would help him. He did and we got the puzzle done. Joshua is not very patient, in fact he is very impatient and gets frustrated easily. Some kids will just work things out for themselves if left alone, but not Joshua. He just gets more and more frustrated because he wants to do things perfectly and doesn’t want to ask for help. Eventually, he will just get so upset he throws his toy and has a fit. I have learned to go in the room as soon as I hear the fussing so that I can try to head off the tantrum. I realized I am sort of like my son, or at least I used to be. I hated to ask for help and would rather just do things myself even if I couldn’t do them. I felt like a failure if I had to ask for help. I don’t think I am alone in this. 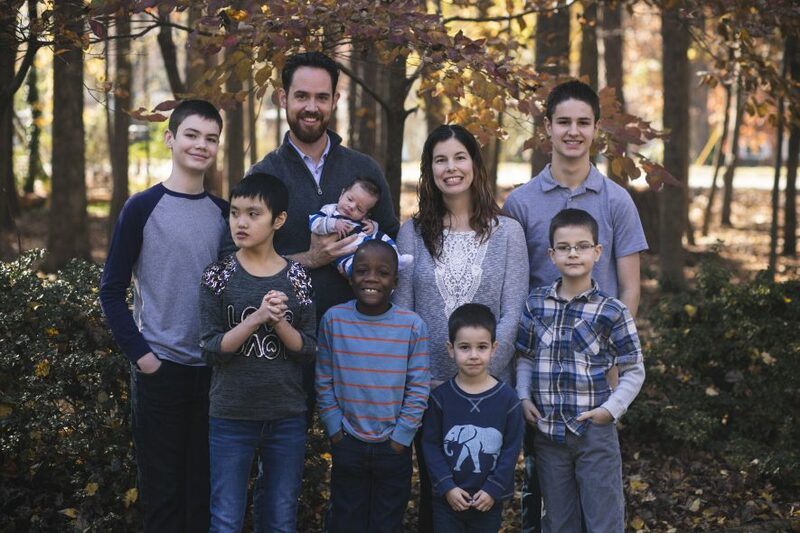 Since adopting two kids with special needs and having a large family, I have been forced to ask for help and now I can do it much more easily. I don’t know why I didn’t before, it makes life so much easier. It’s nice to allow others to help and it makes that person feel good too. Since bringing home our daughter in December, we realized that she was going to have issue attaching to us pretty early on. We took some time and tried to work things out on our own, but we have realized that the time has come to ask for help, so we are going to visit a counselor who specializes in attachment next week. I think people wait way to long to ask for help, especially in situations where relationships are concerned. We have decided to seek help proactively so that we can get some help knowing the best way to help our daughter form a good bond with us, instead of waiting until the wheels fall off and everything goes in the ditch, so to speak. I personally think every family who adopts an older child should seek counseling after bringing the child home. I think it would help with the dissolutions that are becoming more and more common. Dissolution is the act of deciding you can no longer parent an adopted child after adopting that child. I would never presume to say that this should never be done, because I am not in every else’s situation, but I think the rate at which it happens could be lessened if families sought help before the situation gets dire. So, we will be seeing a counselor until we feel like we are making some headway. Don’t be afraid to ask for help if you need it. Rather it’s a big or small thing. Whether it’s a problem with your marriage or family or some other relationship. Or whatever your need may be. Others really are willing to lend a hand, if you just ask. greeeaaat advice. And very needed. So glad you are getting attachment help right away. I wish we had seen our challenges with Joseph earlier than a couple months ago. Thanks for being so transparent! I have experienced the same lack of ability to ask for help most of my life. Starting a new position brought this to the forefront once again. Like you, I realized that I was overwhelmed by a feeling of failure when I had to ask for help. I have learned though. I learned that no one expects me to know everything about everything all the time. The peace that came from learning was a magnificent gift! It’s good to know I am not the only one with this struggle.